Our letter of recommendation template quickly guides you through the process of crafting a letter that conveys your support for the person you wish to recommend. Make sure the reader perceives your recommendation letter as thoughtful, sincere and professional. By providing a recommendation for a student, friend, colleague or associate, you are giving them your personal seal of approval. Think carefully before recommending someone for a new job or promotion. Whenever you are being asked to write a letter of recommendation for someone, it's important that you are 100% confident in their ability to be successful and deliver quality results. Your recommendation of another professional also reflects on you. So, before making a commitment ask yourself, does it make sense for you to be the person writing the recommendation letter? Should it be someone else who has more direct knowledge of the person making the recommendation? If so, then why wasn't that person been asked to write the letter instead of you? If you are in a situation where you are not comfortable writing a letter of recommendation, you should be open and honest about your reasons for declining to make a recommendation. Perhaps you don't have first-hand knowledge of his or her skills in a particular area. You may not have actually observed their work. You might lack direct knowledge of what the person is like to work with. These are all valid reasons for politely declining the request. "Never provide a recommendation letter for someone you wouldn't hire. Your professional reputation is based in part on your recommendations." Consider how your professional credibility and personal character may be judged if you recommend this person and later he or she turns out to be bad employee. The potential risk to your good name is just one more reason why it may make sense to bow out gracefully, hopefully without hurting anyone's feelings. If you decide to decline and the requester reacts negatively to your answer, then you know for certain that you've made the right choice. A real professional will understand when you are candid about any concerns or objections you have in writing a recommendation letter. 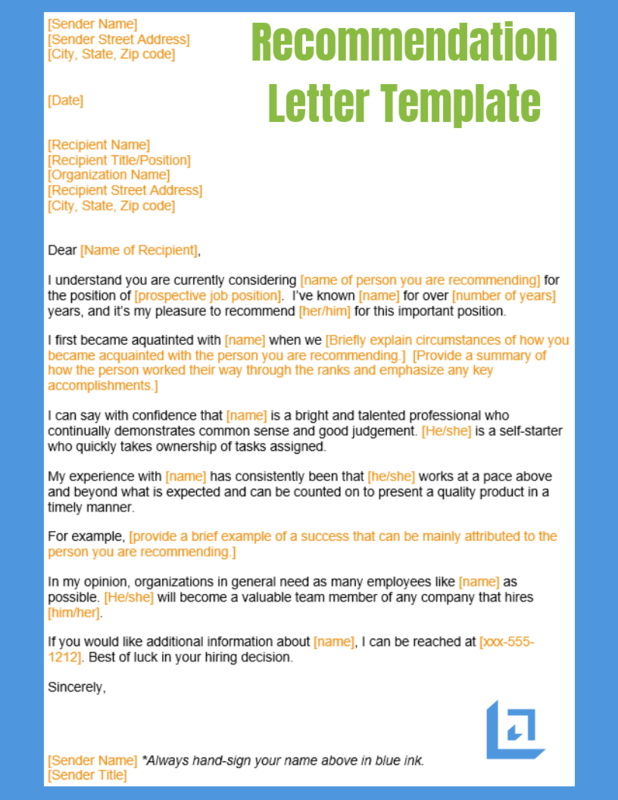 Assuming you are the appropriate person to write a letter of recommendation and you are fully comfortable in doing so, use our free letter of recommendation template and follow the tips provided below to create a professional letter you can be proud of. 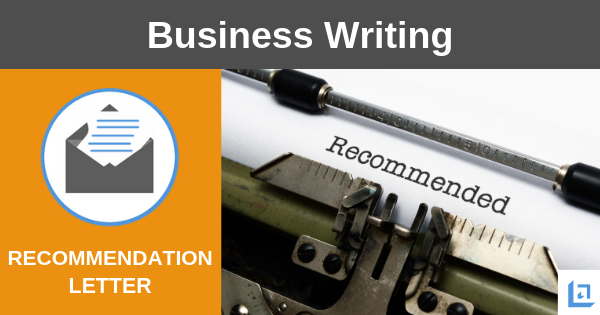 Make recommendations sparingly and protect your professional reputation. Describe how you know the applicant. Briefly explain your history with the applicant and in what capacity you are affiliated. Explain what your role or position is and why the applicant ranks highly among others on your team or other people you've worked with. If you are a relative of the applicant, reconsider whether you are the best person to write this letter. Relatives, in most cases, are not good choices for recommendation letters as there will be a concern over personal bias. 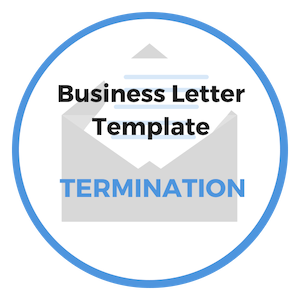 Hiring managers will place a higher weight on letters from current or past employers and supervisors. Talk in detail about the applicant's positive qualities and how you believe this person will be a benefit to the new employer. Provide examples of what leadership traits you've witnessed by the applicant. Discuss the applicant's work ethic; commitment to the job, and how he has added value to the team and organization, etc. While brevity is important when writing a recommendation letter, you can go a little longer than with other business letters. One full page is a good solid amount of space, but never go over two pages. Provide your contact information and invite the employer to call you if he or she wishes to further discuss or clarify the applicant's qualifications. Proofread for spelling and grammatical errors. Again, use our free letter of recommendation template to make the process quick and easy. Shown below is an image of our letter of recommendation template. Use this free template to support associates who are of the highest caliber and whom you deem ready for the position or promotion they are seeking. 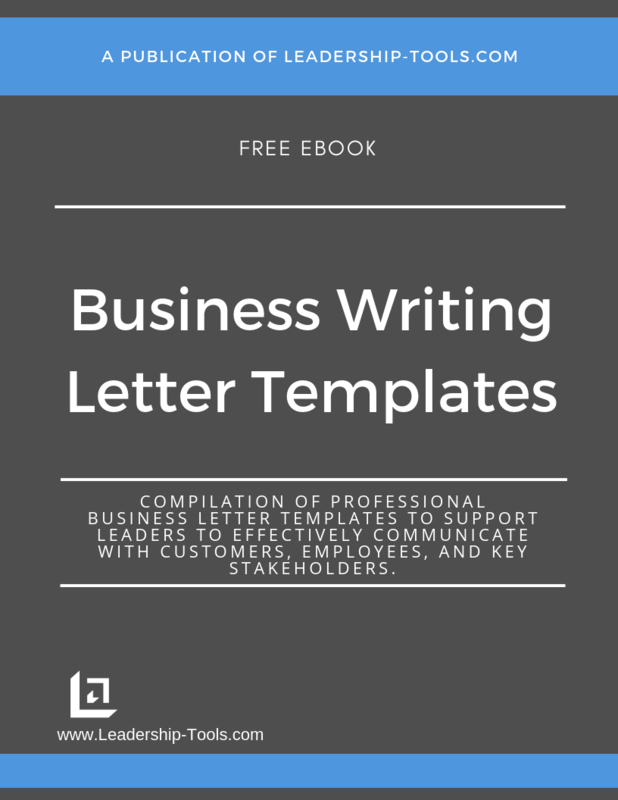 To download our free Business Writing Templates/eBook, complete with the above free letter of recommendation template, plus templates for many other topics, simply subscribe to our free newsletter. You will immediately receive a password that grants access to our entire leadership tools library.